"What a fine performer the Finnish cellist Arto Noras is. With his rich stream of tone and immaculate technical address, he cuts a commandingly articulate figure." 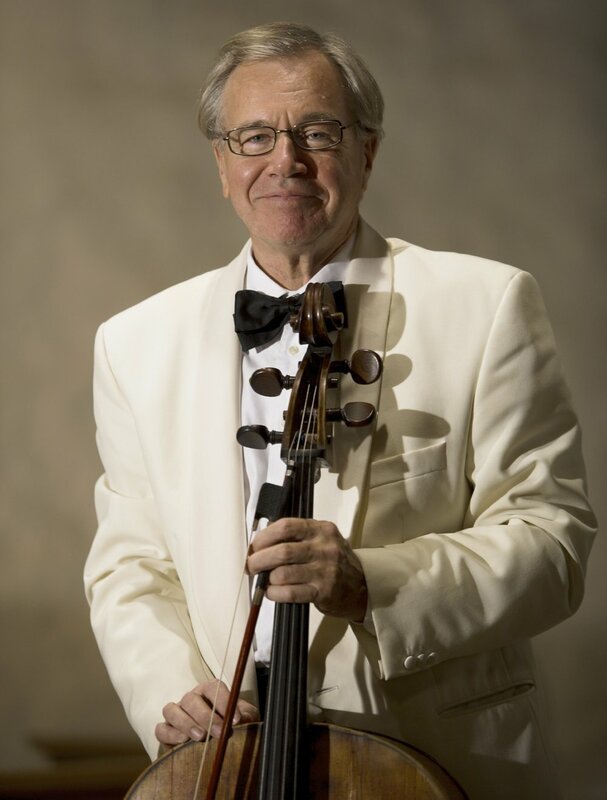 Arto Noras, Founder and Artistic Director of the Naantali Music Festival and the International Paulo Cello Competition, is one of Finland's most celebrated performers and among the world’s most outstanding cellists. He is known as an expressive and technically brilliant soloist as well as an intense and sensitive chamber musician. Following studies with Professor Yrjo Selin at the Sibelius Academy, Arto Noras went on to work with Paul Tortelier at the Paris Conservatoire where he received the coveted Premier Prix diploma in 1964. Two years later he was awarded second prize in the Tchaikovsky Competition in Moscow, which launched an international career that has brought appearances at the most important concert halls of Europe, Asia and both North and South America where he has performed regularly ever since. He was awarded Denmark’s Sonning Prize in 1967 and the Finnish State Music Prize in 1972. Arto Noras' repertoire covers all the principal works composed for his instrument, including those by contemporary composers, works he has recorded extensively for the Finlandia label (Warner). His extensive discography includes concerti with the Norwegian and Finnish Radio Orchestras, Toronto Symphony Orchestra, Helsinki Philharmonic Orchestra, Warsaw National Philharmonic, BBC Philharmonic and the Bournemouth Symphony Orchestra under such conductors as Jukka-Pekka Saraste, Sakari Oramo, Markus Lehtinen, Paavo Berglun, Yan Pascal Tortelier and Krzysztof Penderecki and sonata recordings with pianists Bruno Rigutto (Beethoven, Faure, Franck, Debussy), Ralf Gothoni (Sallinen) and Juhani Lagerspetz (Brahms, Schumann). A distinguished chamber musician, he is a member of the Helsinki Trio and is a founding member of the Sibelius Academy Quartet. He has performed regularly at the world’s leading music festivals including the Casals Festival Prades, Kumho Chamber Music Festival, Turku Music Festival, Seoul International Music Festival and his own Naantali Music Festival, which celebrates its 30th Anniversary this year. He is likewise a noted teacher, appointed Professor of Cello at the Sibelius Academy in Helsinki in 1970 and recently named Professor of Cello at the Hochschule für Musik in Hamburg, Germany. Arto Noras is in considerable demand as a jurist for the world’s most important competitions. He has served on the juries of the Tchaikovsky, Casals, Rostropovitch and Cassado competitions and he gives masterclasses throughout the world. Noras is expressively poetic especially in the lovely Largo of the Second Concerto and Rasilainen's accompaniment is colourfully articulate in both concertos.